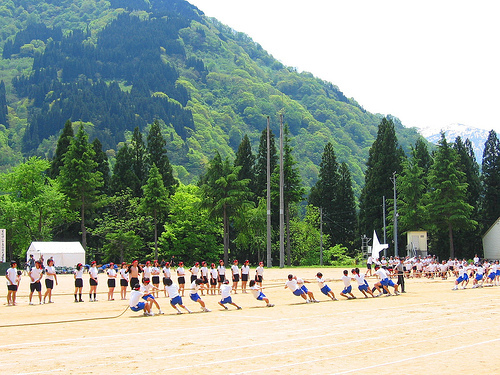 Every year, schools all over the world will set aside a day, or even week, for sporting competitions. This is a time honoredevent in which parents would have competed in previously.It will need to go well or fuming parents will be heard complaining at the next parents evening. Here are a few tips for to ensure a fun and memorable day will be had by all. 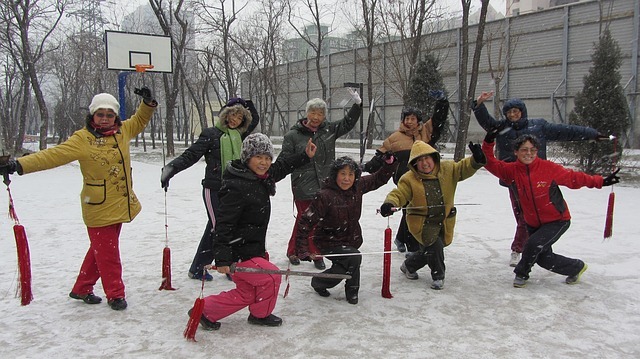 This may be a sports event, but the addition of color will brighten the day and spirits. If there is a school color then you can use this for the main awards area, the finish line, and perhaps the entrance. Participants should be put into teams with their own color, and they should be asked to adorn their part of the spectator’s area with that color. They can use balloons, streamers, buntings, and whatever else they can think of. Everybody in the school should be taking part in sports day, even those who are not sports people themselves. Cheerleading should be encouraged, team songs and chants should be used as much as possible. Teachers should also be part of a team color; they can be the main source of encouragement for the student spectators. The parent’s area should be separate from the students. However, they should also be encouraged to participate, this is easily achieved by having parents wish their children good luck over the P.A. system. If you invite a local celebrity or a past student to present the awards and trophies it will make the day that bit extra special. It will encourage children and parents to become even more involved as photos are taken with the first three in any event, and autographs requested through the day. It is always a good idea to have an opening ceremony with a few speeches and words of good luck; what better person to do this than an ex student, who has reached celebrity status; maybe they can appear alongside a local politician or even the Mayor. It is always nice to include a few fun events where the teachers and parents can participate. 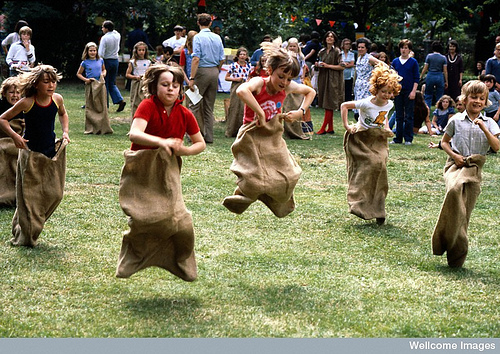 Three legged races with student and parent teams, relays involving parents in the student’s teams, and novelty races with teachers in fancy dress will all go down well with participants and audience. You could also have charity races where money raised prior to the sports day is donated to the charity of the winning student or team. This could be a yearly event with a trophy inscribed with the winners name and the charity the donation went to. Try to include a few of these but don’t let them delay the main events. Always have a presentation at the end of the day to the winning team. Have their name inscribed on the trophy and make a big fuss of the presentation. When the school band are playing as the winning team do a lap of honor to the cheers of the crowd, you can relax knowing that another sports day has been a success.